Snow. The simple word which instills joy in the hearts of kids everywhere. A word often associated with no school, meaning unexpected days for pure joy in the great outdoors. Snow days are an unrivaled present which allow for relaxing days with friends and family, marveling at the calmness of the white blanket. We all remember the Snowpocalypse of 2010; when the Washington D.C. metro area was hit with over two feet of snow on two different occasions. Last night, Snowmageddon -2014 Edition took place as we all were fast asleep waiting to see what we woke up to. Much of the area was hit over 10 inches, and schools everywhere were closed. It is the first real significant accumulation of snow since those two massive storms just about four years ago. 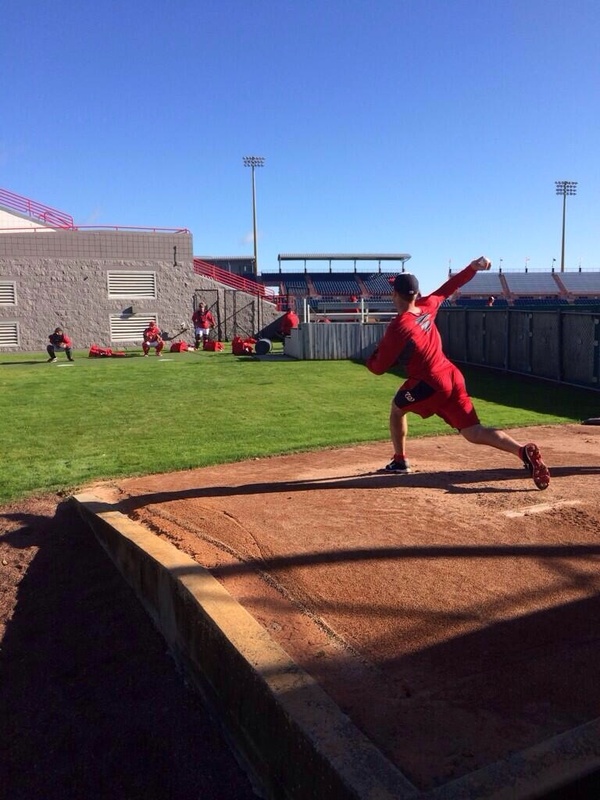 While we are all digging out from this overnight onslaught, the Nationals’ Pitchers and Catchers, at long last, reported to Spring Training in Viera, Florida today! I would say the winter is over, but as I look out my window, that is obviously not the case. 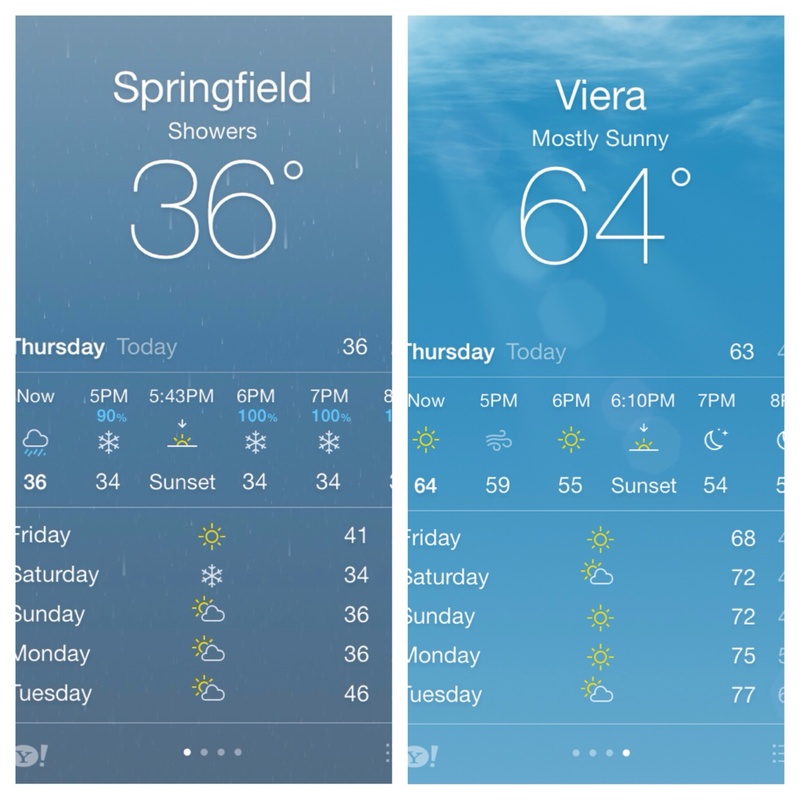 As you can tell from the picture, the weather today in Viera is much nicer than here in Virginia. 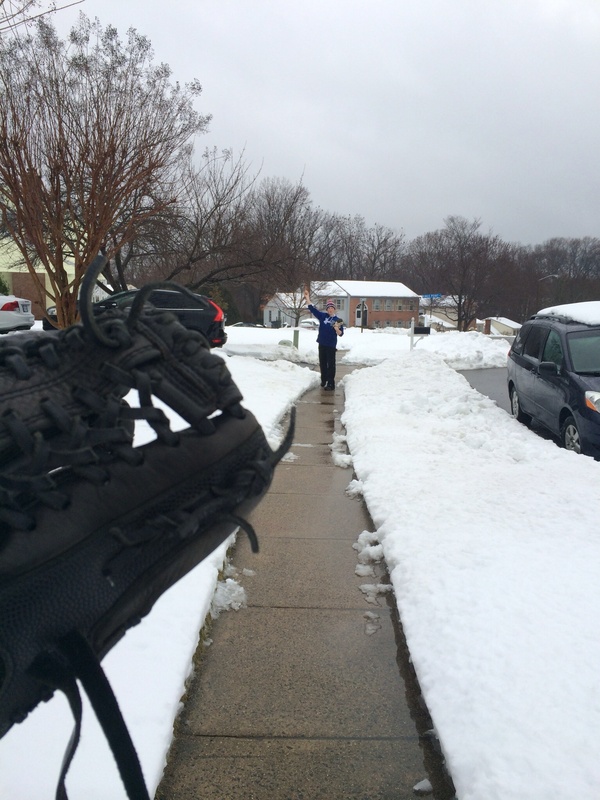 However, a little snow thought it could stop us from playing baseball? Good one. 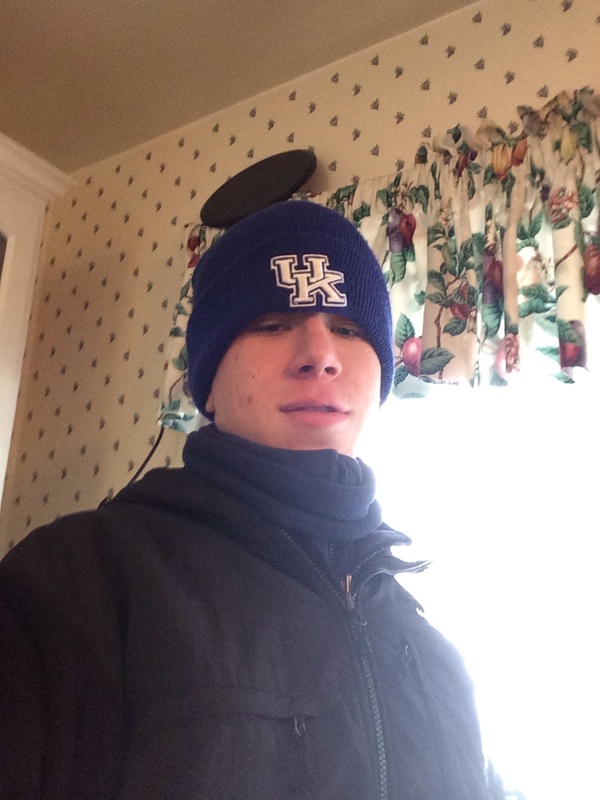 There are so many ways to show your baseball pride on snow days. 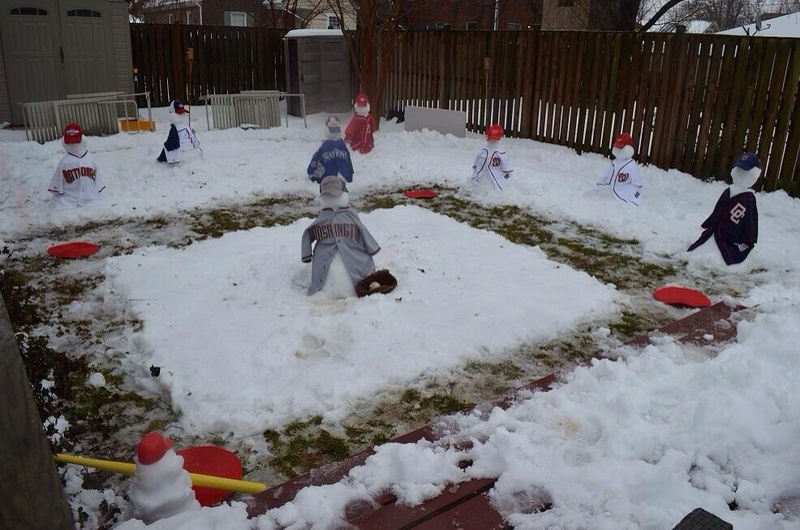 Snow men are probably the best example and the grand prize has to go to the folks at Nationals 101. As you can see from the picture below, it seems the whole team has made an appearance. Today has been so full of excitement. Up north, it stemmed from the day off of work and school, and down south in Viera from the Nationals reporting to camp. 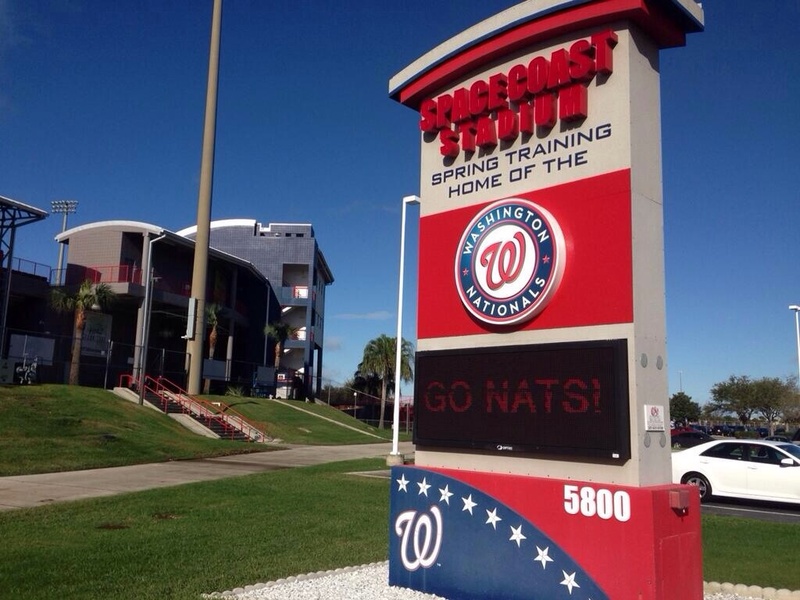 For us Nats fans, the combination of the two is almost too much to handle. The snow has started to fall again and school for tomorrow, Friday, has been cancelled. So what will tomorrow entail? I’d love to know! Comment below on your favorite snow activities or tweet me pictures of your creations! Especially if they have a Nats theme to it. Tonight, we can revel in the fact that Nationals baseball has started and we are snowed in for one more day. #Natitude has begun!